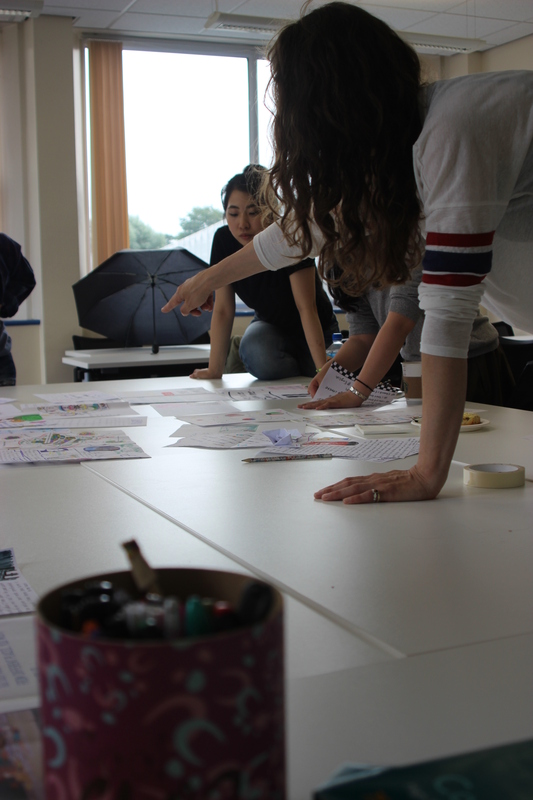 For this workshop we welcomed some new co-creators into our collective. 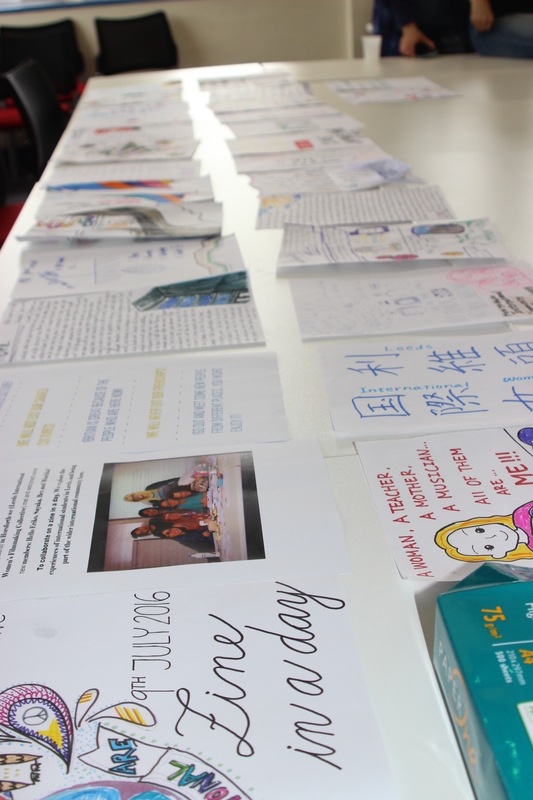 Eriko, Sayaka, Bex and Mishka had all heard about our project and came along to contribute to our zine. 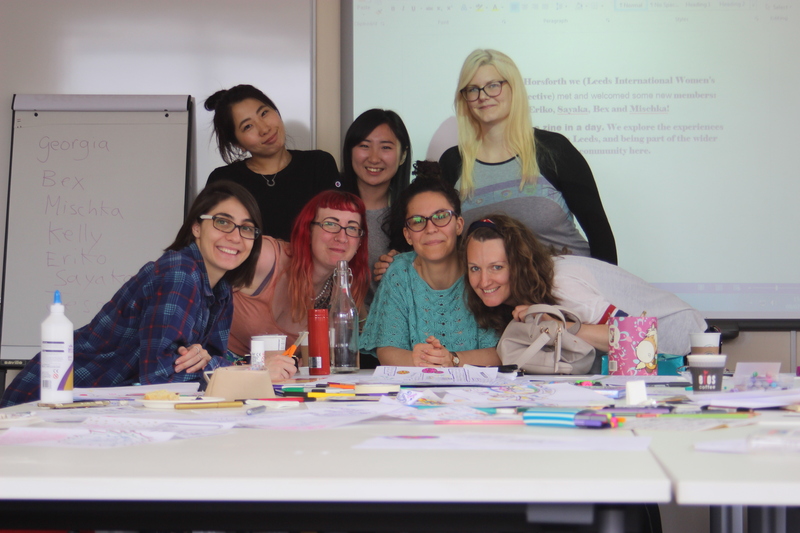 Mishka helped to plan the workshop and inspired us greatly with her experience of zine making culture. A page from our zine showing the areas which our media will explore. In our previous conversation clubs we decided on the subject areas which were important to represent through our media. 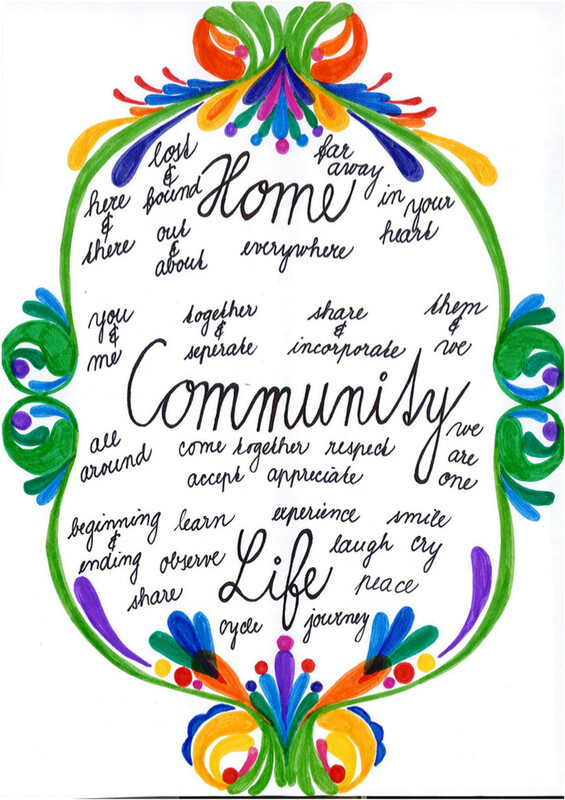 So in this workshop we created zine pages on the broad areas of: Home, Community and Life. 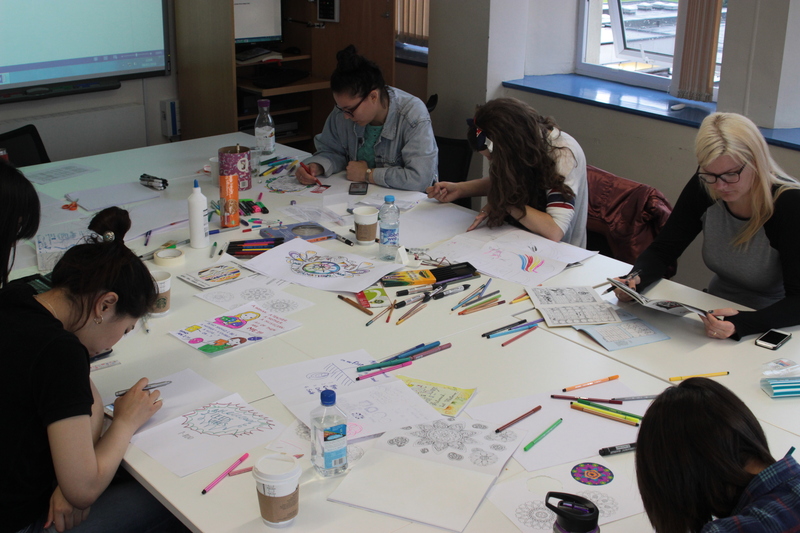 As we started to draw up ideas for our own zine pages- looking for inspiration from other zines. 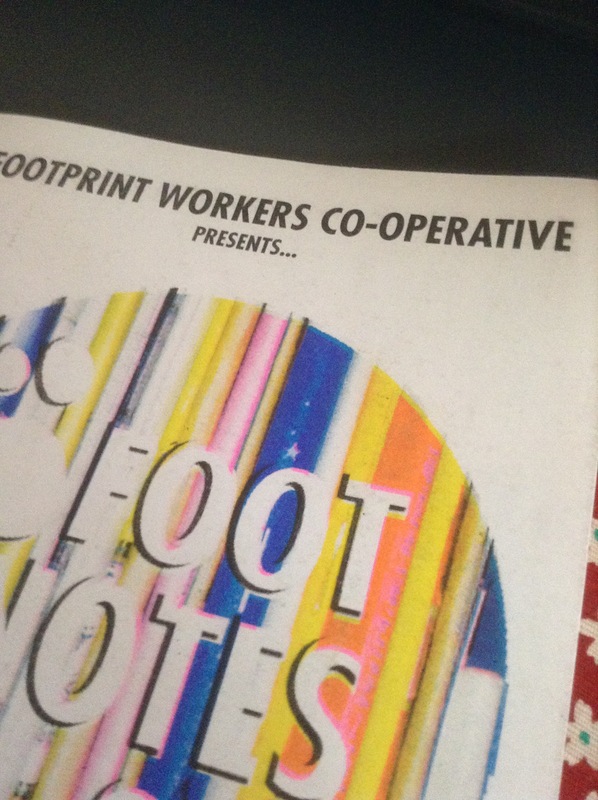 We have started to gather a small collection of zines, some of which are distributed through the Leeds Footprint Workers Cooperative at events like International Women's day, Leeds City Museum and the Leeds Zine Fair which they help to set up each year. 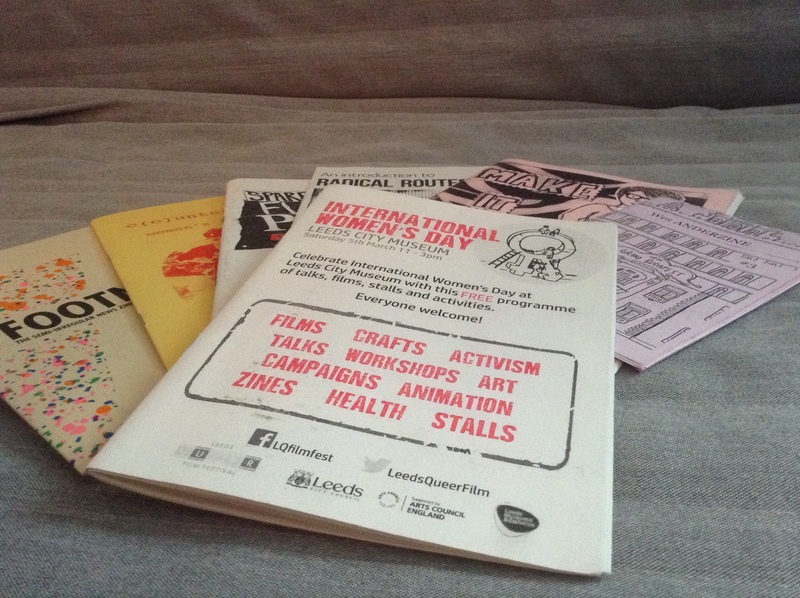 Building our collection of zines from Leeds events! Busy away! Creating our first zine in a day. It was amazing what we achieved with only blank A4 paper, some basic printed text, glue sticks and coloured pens and pencils. We worked together from 10am until 3pm to create each of the 30 pages of our zine...taking only a quick lunch break and powered on by some great music by Bille Holiday and David Bowie, amongst others on Spotify! Collaborative printed zine text technique: during our workshop we used word processing software displayed on a projector to write down our ideas and print them off to add to the pages of our zine. 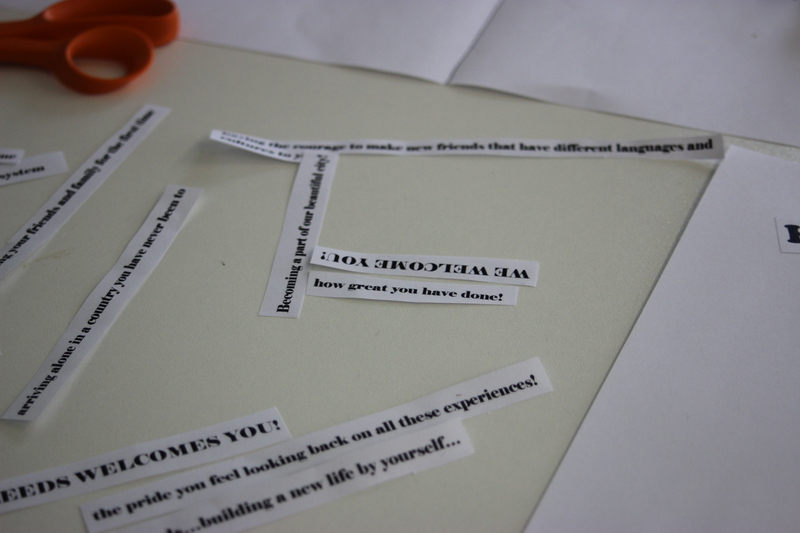 A very creative page from our first zine! 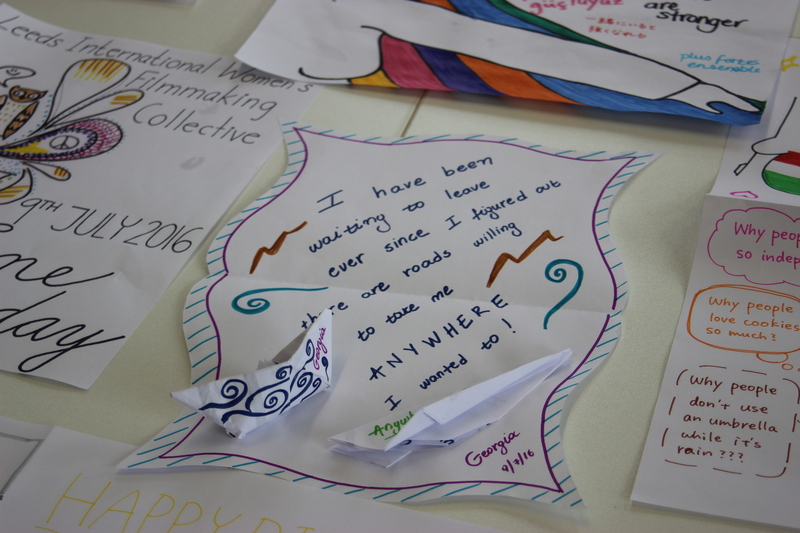 Georgia created these small boats using paper folding techniques to add an extra crafty dimension to one of her pages. Everyone got really involved in mapping out an order for our zine pages. We even got up on the table tops for better view of how it looked! When we finished creating the pages we did a count and realised we'd designed 30! We were only planning to do a page or two each...inspiration clearly took hold and we were very productive in our workshop. The master copy of our zine. Laid out ready to scan and print. The front page of our zine. 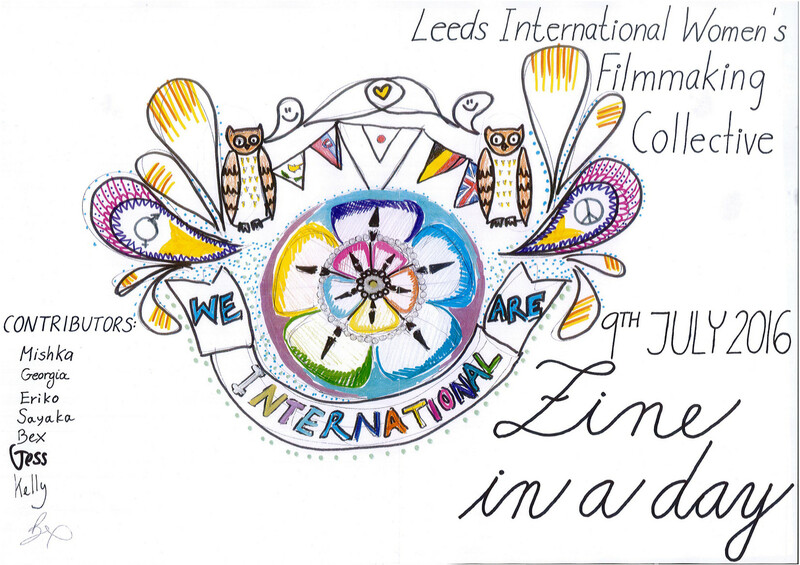 Featuring our logo designed by Bex, based on ideas contributed by collective members. Also featuring text by Mishka and each person who contributed signed their own name to continue the personal touches to this zine. We underestimated how long it would take to scan in each page and experiment with how to pull the pages together in order as PDFs and print the zine. This stage took quite a few hours but we persisted and with a little more group effort we worked out how to get the zine looking the way we'd envisaged it. We have found that our zine has so many outputs: most importantly the paper copies we all took home with us as mementos and for future inspiration, but also a digitised copy (available online to view). We have also taken the inspiration from one of the zine pages for the title of our interactive documentary, which we plan to call "Our Here". 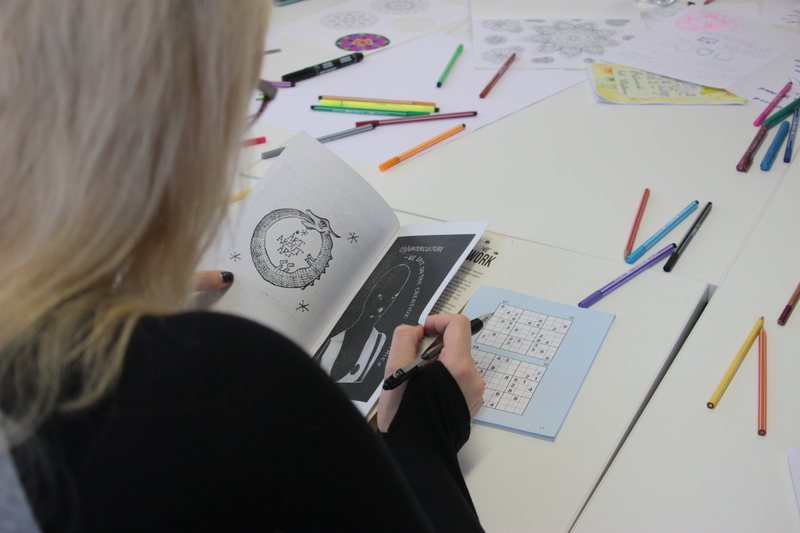 The digitised scans of our zine pages look wonderful, and we will use these to illustrate our interactive documentary as we develop our platforms and archive. 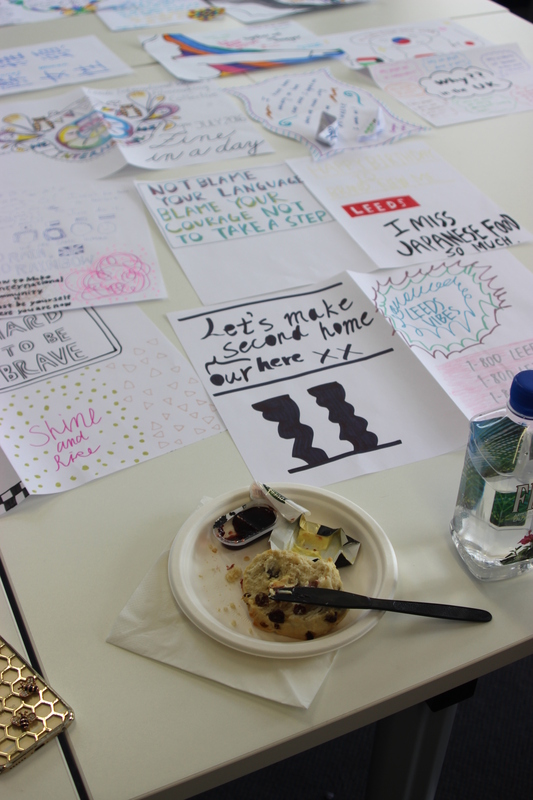 And we also designed our logo collaboratively during the zine workshop. 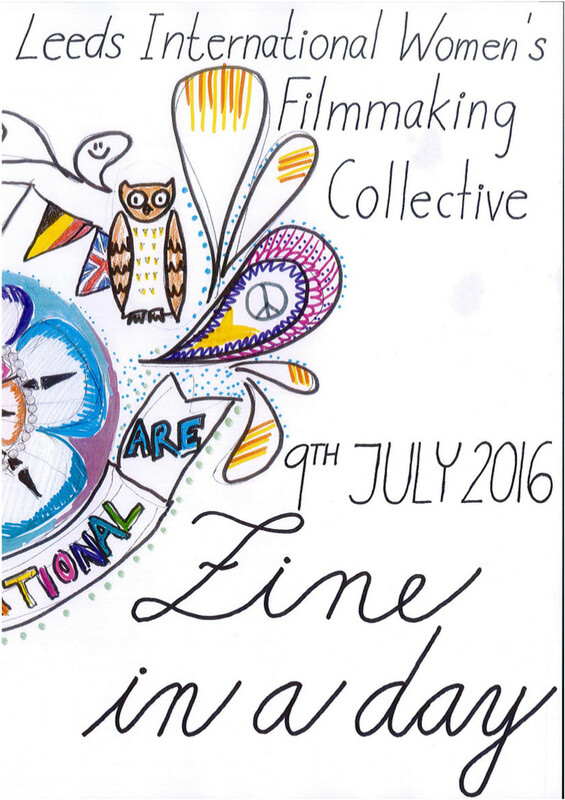 We are taking the title for our interactive documentary project from this page of our zine. "Our Here". 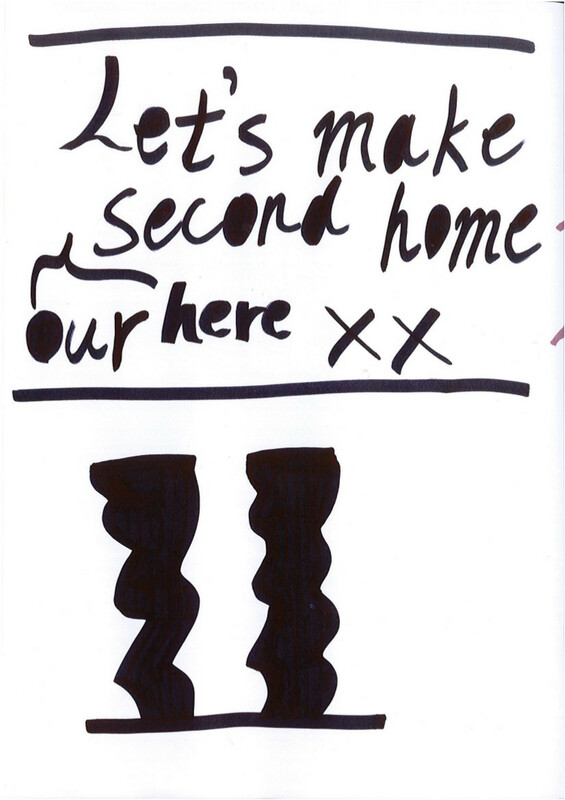 A digitised scan of the front cover of our zine. Link to a sample of our zine on Flipsnack.